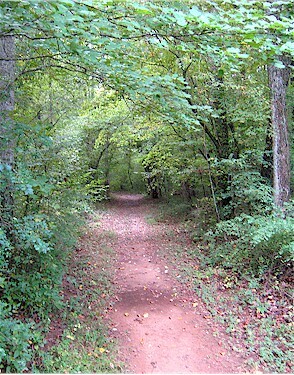 CETA is an equestrian trail system traversing thousands of acres centered around the old Collinsville Farm District. CETA is a family-oriented neighborhood trail-riding organization. Membership is open to landowners in the Collinsville area or their tenants and limited to 3 boarders per farm. New members must provide a permanent trail on their land. The CETA system runs the full length of Collinsville Road and Phillip Road, Hickory Grove, Church Road Lane along Landrum Road to Sandy Plains. It includes many other local, contiguous private roads where neighbors have opened access to lanes and trails on their properties. This continuing expansion of the trails has been possible not only because of riding and driving neighbors but also through the very generous permission of non-riding landowners. CETA has approximately 100 families as members, nearly one-third of whom are non-riding neighbors. Truly, we have been blessed. We are members of a unique system of trails on privately-owned land, through beautiful country, and organized for our mutual benefit. Because the system is obviously vulnerable to the pressures of change, CETA members have worked hard to put their trails under permanent easement. To date, over 50% of members have recorded their easements or are in the process of doing so; thus ensuring their own future access to a variety of neighboring lands. New riding members are required to place deeded trail easements on their properties. We are well underway to a truly remarkable trail preservation system. CETA was started in 1998 when a group of riding landowners approached neighbors about sharing and preserving existing trails that had been developed in the area years earlier by the Tryon Hounds Hunt. The group organized as a homeowners association and shares use of trails. Points of ingress and egress were established between neighboring properties and, over time, many new trails were added as other neighbors realized the value of what was being created. CETA is committed to continuing the present trail preservation efforts and to expanding the system as more neighbors become involved, guaranteeing a way of life that has become increasingly rare. By helping landowners place their trails under permanent easement, our goal is to preserve the equestrian trails before they are lost to future generations. We also encourage our members to place conservation easements on their undeveloped land and to support their local farmers and farm land preservation initiatives in our beautiful Polk County.